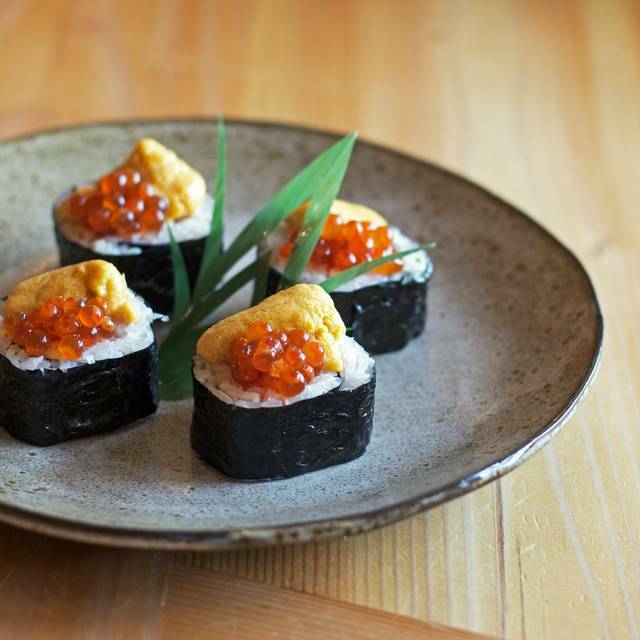 You must make reservations at least 5 minutes in advance of the time at PABU - San Francisco. Valet parking is offered Monday through Saturday beginning at 5:30pm on California Street. Street parking and various parking garages are located throughout the Financial District. Bart station is located conveniently on Market and Davis Streets. Muni is located at Market and Geary Streets. 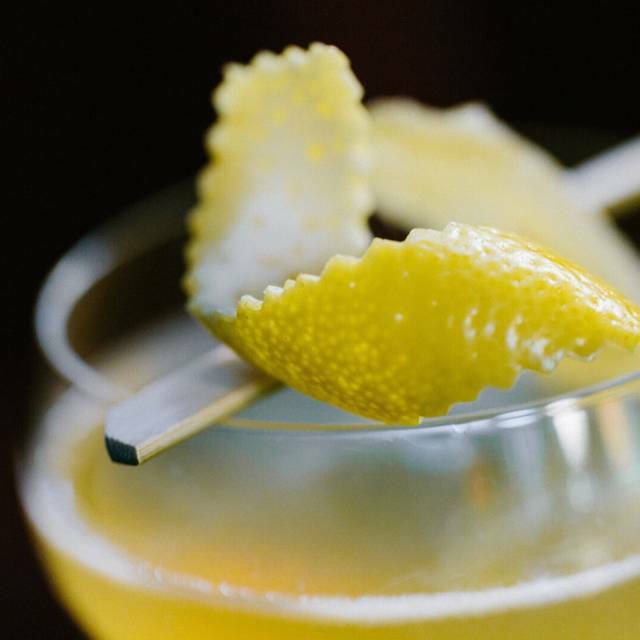 The music at PABU - San Francisco is inspired by Quentin Tarantino soundtracks. 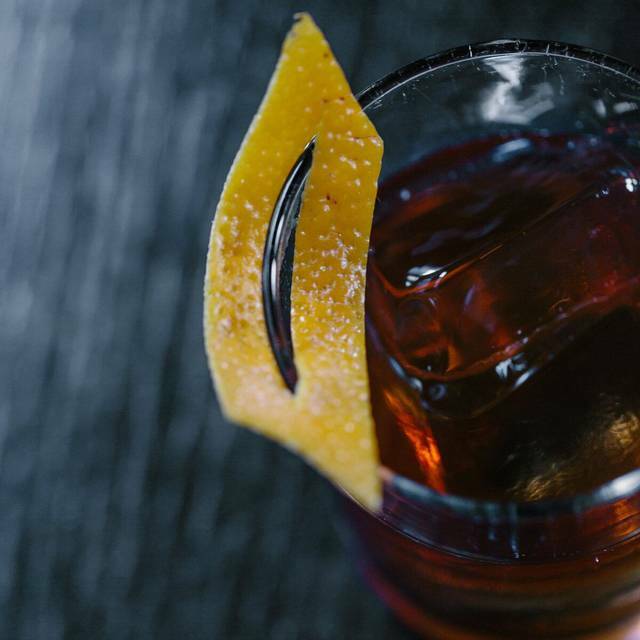 Retro cool tracks set in a modern context, the music at PABU - San Francisco serves to create energy in the room. PABU is available for catering requests. Please contact our event's department for further details. 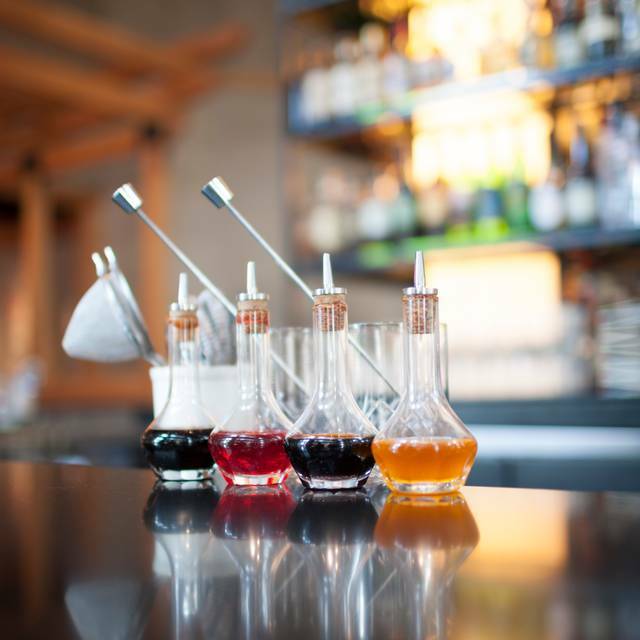 Chef Ken Tominaga brings forth a modern take on traditional Izakaya-style dining with PABU - San Francisco. 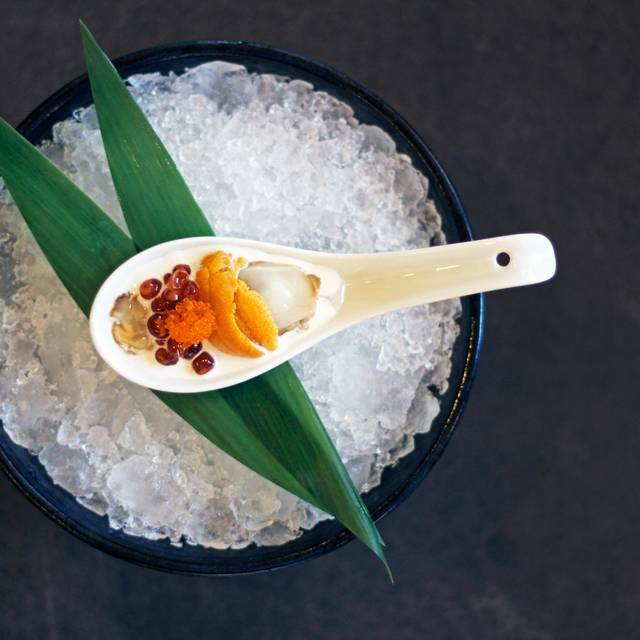 In partnership with Michael Mina this modern izakaya and sushi bar in downtown San Francisco is a dream brought to life for Tominaga and Mina. 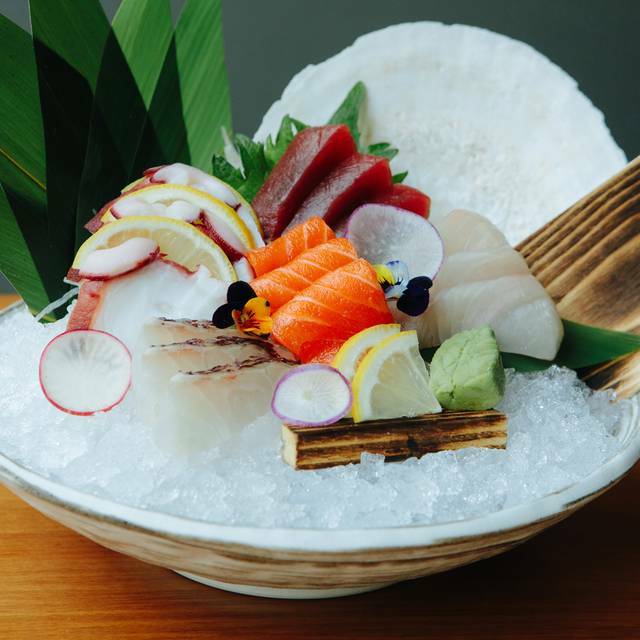 Located at the landmark 101 California space in San Francisco’s Financial District, PABU - San Francisco combines rustic, old-world Japanese charm with modern, urban sophistication to create a dynamic, social dining experience. Requests for the sushi bar cannot be guaranteed. Scallions and seaweed. Serves 10. Choose three types of skewers. Served with steamed rice. Serves 10. Choose 3 skewers: 10 chicken thigh skewers, 10 skirt steak skewers, 10 pork belly skewers, 10 shishito peppers skewers. Carrot, radish, cucumber, and crispy noodles with your choice of dressing. Serves 10. Choose dressing: creamy ginger, creamy ginger (gluten-free), yuzu vinaigrette (gluten-free). Choose protein: sesame salmon, grilled chicken (gluten-free), spicy tofu (gluten-free, vegetarian). Sushi rolls. Platter includes soy, wasabi, ginger, plates, napkins, and chopsticks. 64 total pieces. Includes 16-pieces California roll, 16-pieces spicy tuna, 8-pieces vegetable roll, 16-pieces eel cucumber roll, and 8-pieces salmon avocado roll. Serves 6. Choose from seasonal vegetables. Serves 10. Avocado, daikon, and poke sauce. Avocado, crunchy cucumber, and poke sauce. Choose from our seasonal desserts. Serves 10. Milk chocolate mousse, ginger-sesame granola, and assorted cookies. A very enjoyable experience... my daughter and I enjoy dining each time I visit San Francisco. I’ve never enjoyed a better fresh water eel. The service is amazing and from across the restaurant servers who we had previously come by to say hello! That is amazing since we are only there every 3 months. Tonight we celebrated our anniversary. It was the second year in a row celebrating at Pabu. The first year will always be a special place in my memory. We received a beautiful card along with some champagne, sashimi, hand rolls and grilled dishes. That night was the reason why I fell I love with this restaurant. Pabu’s attention-to-detail shines, every single time. We have only dined a handful of times but each experience has been phenomenal. This IS my favorite restaurant in San Francisco. 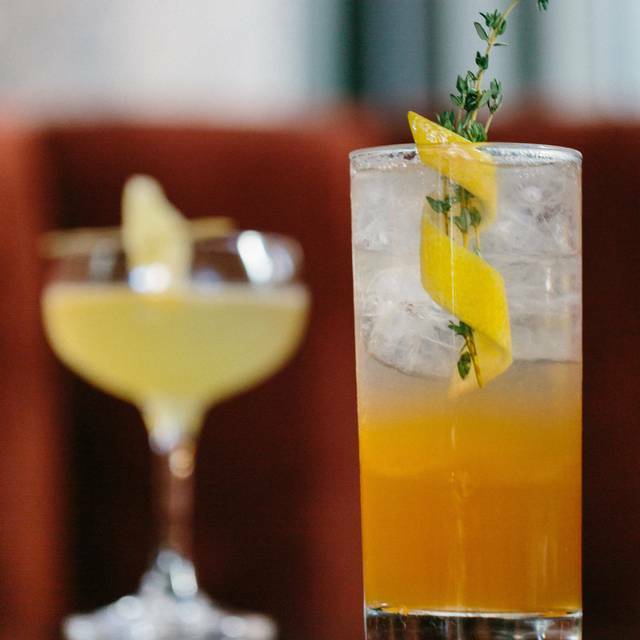 Cocktails are seasonal. We love the Send Noodz & Sleepy Library. The crispy chickens are my guilty pleasure. The food, service & staff at PABU was amazing! I went during lunch with a large group and they seated us in a secluded, quiet area. They also made our business lunch celebration feel very special. Took over an hour to get three tiny slices of fish. Incredibly overpriced. Food is very good but for the Price I can not represent it is Amazing. I would go back because the location is good if after work but be prepared to pay. I would represent that the Service is good but not very attentive. I like the energy and the food so I would go back despite the price. Service was a little tough, but we love the place! Amazing food. Exceed our expectations. Can’t wait to go back. We ordered the basic sushi to try out the place. Fresh fish and good quality. Shishito pepper was nicely seasoned. Nice decor and fun. $30 for hot sake is overpriced. Cocktail is not impressive. 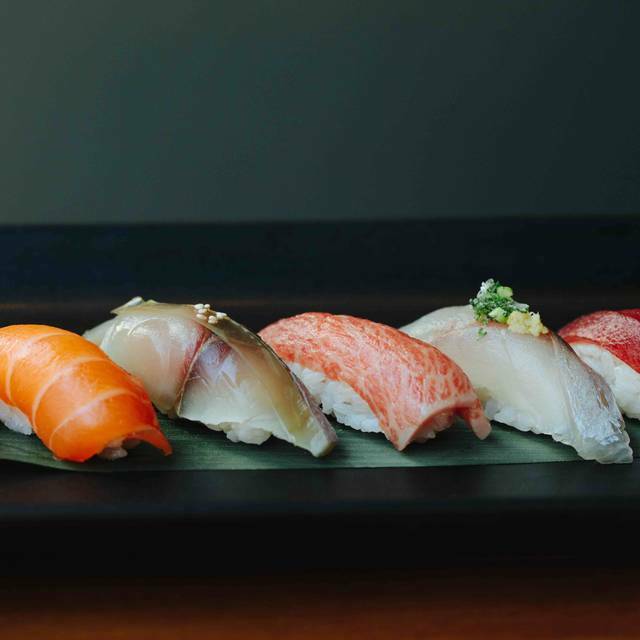 The best sushi/sashimi and Izakaya dishes in SF. You poor wallet will pay big-time but it is well worth it.... my 95yr old Japanese mother loves PABU!!! Go for the Kushi oysters to start, Yakitori skewers are a must followed by sashimi and sushi samplers. Love their chicken karaage and pork belly fried rice, all washed down with ice cold Sapporo!!! Service is always outstanding, Yuliya took care of us superbly as did the managers on the floor. It was okay, I think I expected too much based on the reviews. The fish was not as good as I expected but the little pancake with egg and octopus was good though, def a must try! The food quality is amazing but it comes at a steep price. Cocktails and wine list are also great. Service is friendly but not as polished as it should be at this price point. A few years ago, this was THE spot for awesome and sometimes inventive sushi in SF. It seems somehow safer and more staid now and with a tourist or biz crowd rather than cool locals. Still, if the quality of fish is what you care most about, there is none better in the Bay Area. Just be prepared to spend for it. This is a great Japanese restaurant the success of which came from its ability to create a high end fine dining experience. but worth very penny of it. Great sushi selection and light on the rice for our nigiri. Great place for dinner or happy hour after work. 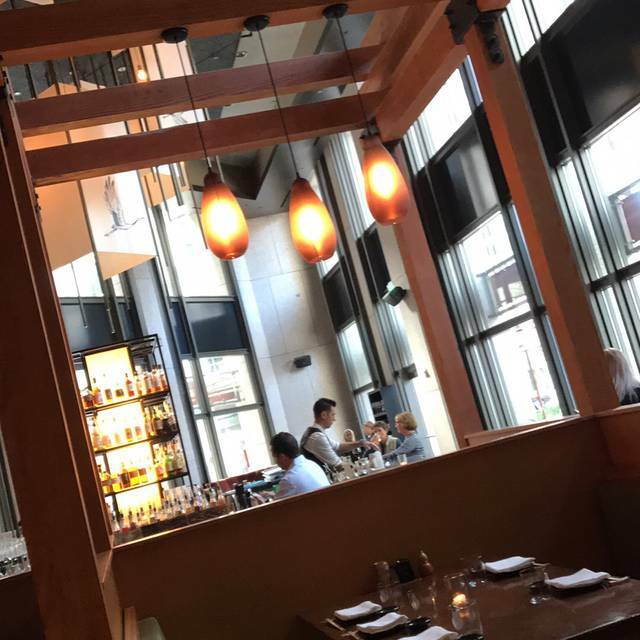 Pabu never disappoints, the food is great, service is swift and efficient, energy is always positive, I continue to take clients and friends here because it is consistently good. Fun Japanese restaurant in the FiDi. Great place for happy hour or first dates. Good stiff cocktails, great Japanese food, good service, what else do you need? This is now my new favorite for sushi and hanging out with friends. Everything was fresh, delicious, and beautifully presented. Our server was knowledgeable and attentive. Pabu is a must try if you love sushi. The food and service are fantastic. Great food. Great service. Pricey drinks. Good for special occasions. Well to start place it self was nice, decor, good vibe. Only thing was the waitress we had must have been her 1st night but are service was not there. She spent most of her time running around lost. Could never get her attention, had to ask bus boy to help get her over. When she did come by she would drop off drink menu, then wouldn’t come back till we waved her down. She was so slow we had to ask the person dropping off our order to get her attention. If you go make sure you get a good service. We gave her 10% tip. Won’t be going back. Plenty of great sushi places out their. Our client had a great experience. Our server was awesome and the food was delicious. Enjoyed the night. Staff were great, meal was amazing. Service is impeccable, food quality, as well as speed for lunch is unparalleled. Had a few sushi roles, as well as the fried chicken (wanted 5 more orders if that deliciousness) as well as the matcha sundae (super fun, hard to share though...suggest putting in a wider bowl to enjoy for two or more). Really fun flavors and textures. It’s always such a treat to experience the magic of Ken-san and his team of culinary artists. The space is beautifully designed, the ingredients of the highest quality and the alchemical presentation a delight to the palate. The cocktails and sake selection artfully chosen to compliment the cuisine. This is a very posh version of the working-class post-work food and drinks in Japan. In Japan, you'd be crammed in a neighborhood, where one chef behind the counter would cook everything, and another would serve and bus. The food is typical izakaya, with an addition of sushi. This is really in keeping with the original spirit of the izakaya in Japan... except the extravagant space and the price. The prices are eye-watering. It's easily double the other comparable restaurants in restaurant, and at least thrice you'd pay in Japan. However, you are rewarded with the immaculate space, excellent service, and location, location, and location. For purely a culinary experience, I'd venture out to other Japanese restaurants in the area, but there is no substitute for its location, particularly if you work in the financial district, and have a convivial moment with your co-workers, friends and such, this is an excellent choice. Be sure to take out a mortgage, though. We went to celebrate our son's birthday and our servers made the experience well worth "the price of admission". Spectacular food and service! Food very good. Waiters so Nice!!!! Too expensive for a business lunch. Don't go on Monday. They were be out of sushi and beer. Overall, the food is good and the place is a fun scene, but it can be very crowded. It was MOST disappointing that our table wasn't ready until 45 minutes after our reservation time and no one told us the wait would be that long. We were told repeatedly it would only be a few minutes. That's a complete disaster and would be a big reason to avoid the place. The service was ok at best and the food is pretty good. Loved it! Great food and atmosphere. Talk about a complete rip-off. I had a business lunch there...three people, $290 before tip, for mediocre sushi. I thought $10 a bowl for miso soup was excessive and the blue fin tuna was reliably overpriced but when I got charged $30 for the standard cheap hot sake that should have been $8-10 max, it was a slap in the face. I guess Michael Minna has figured out the way to create an empire is to gouge people to this unconscionable extent. Great sushi, great service, great time! This will be a good to place in San Fran from now on! Not bad. For the money, However, i advise going somewhere else. I have had much better sushi at other places in the city. Fun experience! Service was good.